Whether it is for providing 50 to 60 Hz or 50 Hz to power from the local electricity grid, a frequency converter forms an unit often-overlooked but key part to your workflow process. Like any other piece of electronic machinery, however, even the most robust frequency converter can suffer over time and regularly scheduled maintenance forms part of a comprehensive care plan. Making the difference between getting the most out of your equipment for years to come and suffering the painful financial devastation of failure at an inopportune moment. When all goes wrong it is vital that your frequency converter is brought back on-line as quickly as possible. Downtime is a hazard that is sometimes unavoidable, despite the best plans. Also accidents happen, and damage to equipment can happen in any environment. If your converter is physically damaged or suffers internal component failure, repair rather than replacement is cheaper and quicker – as well as more environmentally aware. Power Systems International have a repair team ready to support you and failed equipment. In many cases, we can perform an on-site repair to get you up and running as soon as possible – we all know that downtime is incredibly costly and can have an undesirable knock-on effect. If performing a repair in situ is not viable, then we can advise and deal with the transportation of your frequency converter unit to our facilities in the UK where it can be stripped-down, and to effect a repair if possible. Power Systems International are here to work with you on building a detailed care plan for your frequency converter. Whether it is a piece of technology supplied by us, or a third-party converter, we have the finest engineers able to analyse your precise needs and plan a schedule tailored to your requirements. While our frequency converters are built to the highest standards, and we are confident that they can weather even the most extreme conditions, it is foolhardy to suppose that any piece of specialist power equipment can run for years without the appropriate level of care and maintenance. Depending on your needs, your frequency converters may be often in transit, occasionally weather-beaten and put through the rigours of a demanding industrial life. We will undertake a personalised analysis of your situation and develop a bespoke solution that accounts for these conditions – from installing redundancy systems, to regular on-site visits by qualified specialists. Annual maintenance of your frequency converter is a must to ensure a worry-free relationship with your power supply needs. If we have supplied you with your frequency converter, there is little doubt that we are the best-placed service for your repair and maintenance requirements. 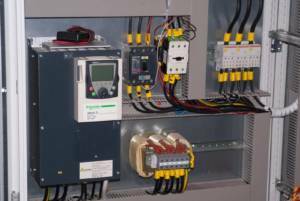 When dealing with third-party converters, our engineers have significant experience of frequency converter and will put their knowledge to work ensuring that you get the longest life possible from your existing systems. With a long a dedicated history in the frequency converter arena, PSI train our engineers to be reliable, friendly and professional. PSI will ensure that your frequency converters are given the care they need to remain a reliable, trusted and integral link in your power supply chain.